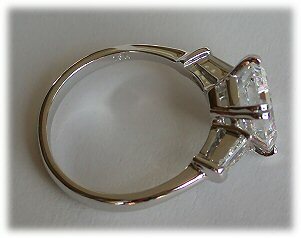 This is a semi-mount: please add a suitable stone to your cart for a ready to wear ring. Normally ships within three weeks from order date. 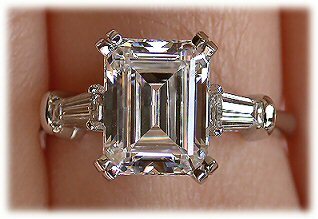 This sophisticated and elegant ring features a center basket head which can be made to hold most stone shapes, including emerald cut and cushion cut, and is set with two tapered side natural diamond baguettes. Fits most sizes and cuts for the center stone. When ordered in Platinum or Palladium, our Timeless Tapered Baguette Ring is among the only rings available in the world that are 'High Pressure Enhanced' after casting. 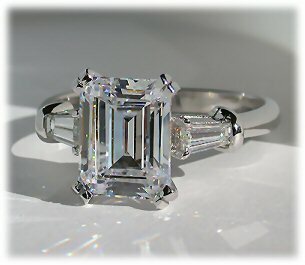 Note: This page allows you to select the semi-mount only; center stone is NOT included. You will need to add an emerald cut or other shape Asha if you'd like to order a completed, ready to wear ring. You are, of course, welcome to order only the semi-mount if you have your own compatible stone already (please see compatible center stone measurements under 'Ring Details'). You may wish to visit our Asha Index page to add a stone to complete your ring. 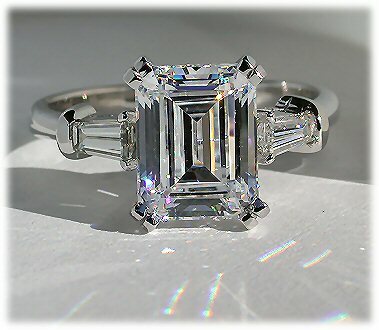 Please note: While we only photoed it with an Emerald center, this ring can hold almost any center (round, princess, flanders, Krupps, radiant, etc) up to approximately 9mm across. 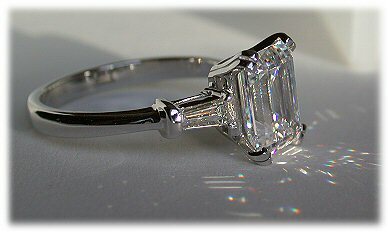 We do not offer a matching band since the width of the center stone varies, which means we can't make a standard band for it. 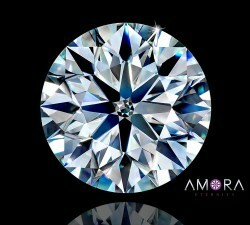 Please add your desired center stone to your shopping cart along with the ring and follow the prompts through to checkout. 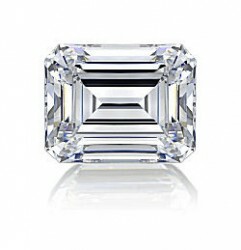 This ring is designed to accommodate most center stone shapes, and in sizes up to approximately 9mm across.